(Lancaster, Pa., Oct. 10, 2018) – The Atlantic League of Professional Baseball today announced the 2018 Red, White and Blue All-Defensive Team. Players were selected through voting from league club managers and executives. 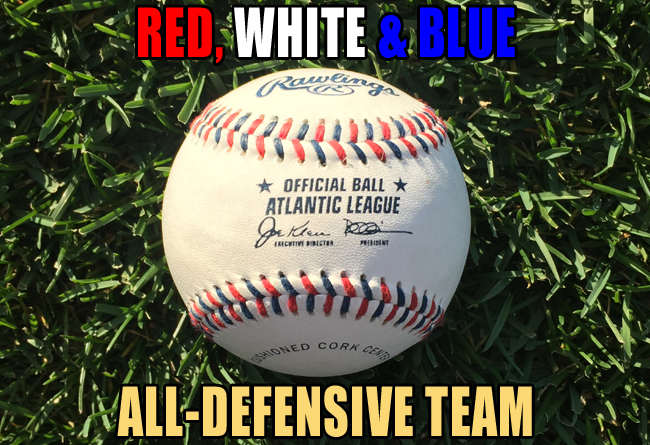 2018 marks the fourth consecutive season in which the Atlantic League has selected the Red, White and Blue All-Defensive Team among its post-season awards. The honor, based on a player’s defensive abilities during the regular season, commemorates the red and blue stitched Rawlings baseball that was adopted as the league’s official baseball in 2015.